In the fall of 2007, S&S introduced an engine with a retro look, but with updated technology. 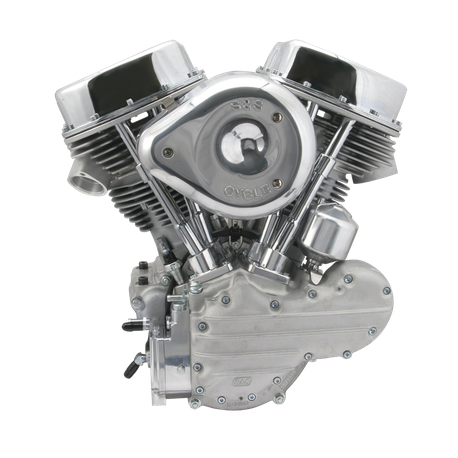 The panhead engine has been hailed as the coolest looking classic engine of all time, and the P-Series engines from S&S capture that retro styling from the 50's and 60's, but with 21st century engineering. Keep in mind that as cool as these motors look, they are not reproductions. These engines were built to run! P93H and P103 engines come with dual plugged cylinder heads. 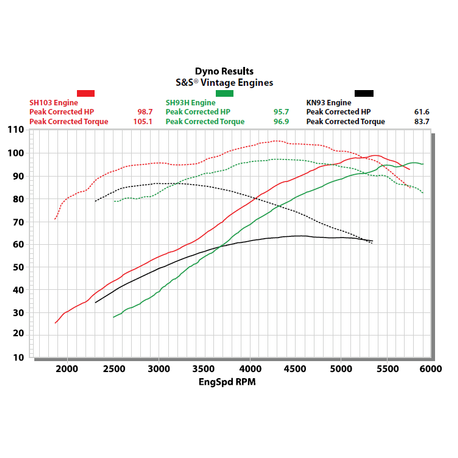 Alternator and alternator/generator engines require transmission with 1970-up length main shaft and custom exhaust. 1955-’64 style engines may be installed in 1948-’54 chassis if 1955-’64 inner primary tin cover is used. Not legal for sale or use on CA or EPA pollution controlled vehicles 1978 and later.